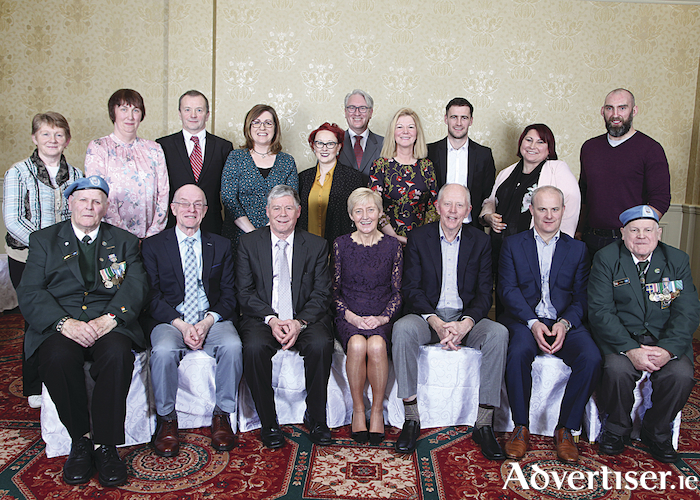 The people chosen as Galway People of the Year Award winners 2017 were announced at a press reception in the Galway Bay Hotel at the week end and will be honoured at a Gala Banquet and Presentation to be held in the Galway Bay Hotel on Friday March 19. All of the winners were nominated by members of the public for their work in a variety of fields which contributed to the betterment of the lives of people in their communities. The winners were introduced by the adjudication panel of Mary Bennett and Jack McCann and awards organiser Ollie Robinson to the attendance including the winner family’s and supporters. Mr Robinson thanked all those who sent in nominations and paid tribute to the local media for promoting and supporting the awards and ensuring they had a large number of quality nominations for the awards which were inaugurated back in 1995. The award winners announced on the night were Catherine Corless Tuam for her research into the Tuam Mother and Baby Home and shining a light into a dark part of our history; Athenry Communiy Games Sports committee a voluntary group for their contribution to the local community; Marie Cahill, Claregalway and Caroline Rushe Galway joint winners for their work for people with Parkinson’s;Olive Dermody Shaughnessy, Killenadeema who has been described as an inspiration for people recovering from cancer; Portumna’s John Muldoon is honoured for his contribution to Connacht Rugby; founder and director of the Ignite Gospel Choir Keerra Sheeran Galway for her voluntary contribution to many worthy causes; Maurice O’Gorman, president of Galway Chamber for his voluntary contribution to the Chamber and the development of the PorterShed; The board of Gaillimh le Gaeilge for the promotion of the Irish Language; Evelyn O’Toole from Cladaghduff, founder of CLS and providing jobs for Galway that are imbedded in the local community; Karen Mannion Ballinafad, Recess gets an award for her enormous work for the Connemara community; Micheal Donoghue and David Burke,manager and captain of the Galway hurlers for bridging a 29-year gap in winning the All Ireland. A special award goes to the three Galway-based surviving members of the siege of Jadotville in 1961, Charles Cooley, Bobby Orr, and Sean Flynn, all living in Galway City. The Galway People of the Year Awards ceremony is now recognised as one of the highlights of the Galway social calendar and there is always a big demand for tickets. The organising committee are inviting friends and supporters of the winners to come out and support the winners on the night.